"What good is a salt marsh?" asks the sign at the long pull-off area next to the salt pannes in Parker River National Wildlife Refuge. I love this sign with its catchy title, and it shares important natural features of these awesome ecosystems. For me, the essence of a salt marsh goes even further. There's something about this ecosystem that just pulls me in -- far enough that I studied them for my Ph.D.! The sights, the smells, just the feel of a breeze flowing over them, it's all unmatched for me. Photographically, I haven't made that many images that attempt to capture some of that magic. I'm usually distracted looking for wildlife, like this snowy egret, rather than focusing on all of the interesting details that abound. 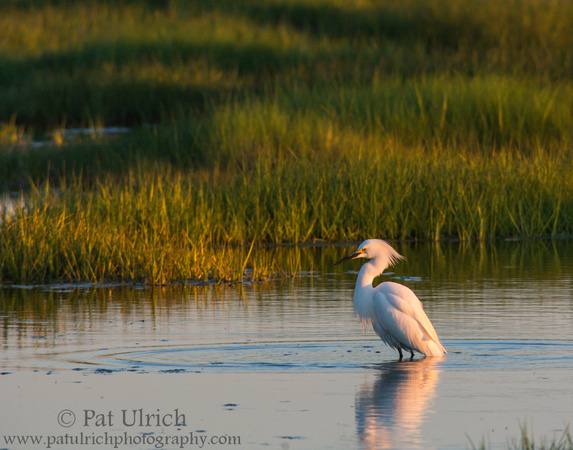 On my drive out of the refuge as the sun was dropping fast toward the horizon, I pulled off the road to watch this delightful snowy egret hunting in the shallow water. Its feathers were drenched in the warm glow of the falling light, and it emphatically leapt from panne to panne as it searched for a meal. I followed it with my lens, having to roll the car forward a few times to keep up with its exuberance. 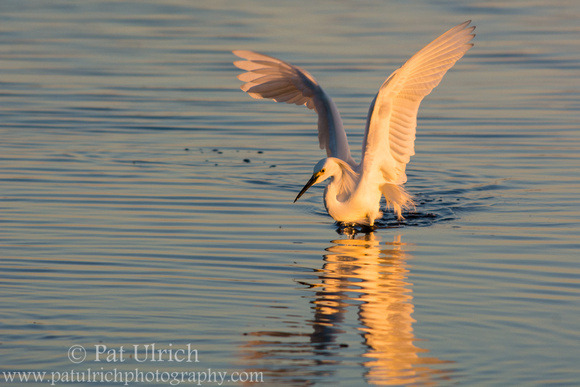 Egrets are a marvel to watch as they hunt, darting this way and that, shading the water, and seemingly dancing their way through the process. I was happy to observe its show near the road, and after a few minutes, it flew further back into the marsh. 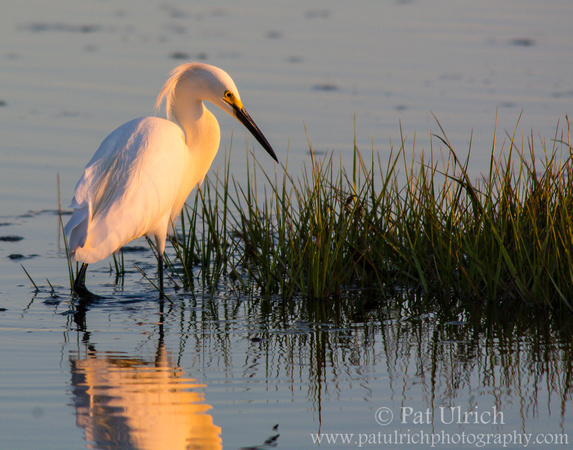 The golden light was caressing the salt grass and casting low shadows, and everything fell into place when the egret landed and set off a wave of small ripples, leaving me with one of my favorite photos from 2017. So what good is a salt marsh? The list of benefits is long, but at the top for me is the warm feeling that overcomes my consciousness when I'm able to soak in a scene like this.